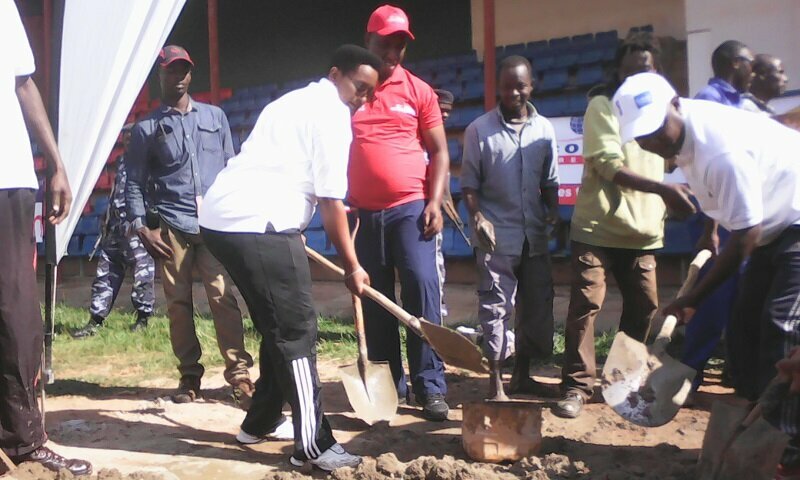 RUYIGI June 26th (ABP) – The 2nd Deputy Speaker of the National Assembly, Ms. Jocky Chantal Nkurunziza, joined the people of Ruyigi (eastern Burundi) on Saturday June 23, 2018, in the community development works which took place at the new modern stadium of Ruyigi located at the provincial headquarters, and in the celebration of the World Day for the Protection of the Environment. 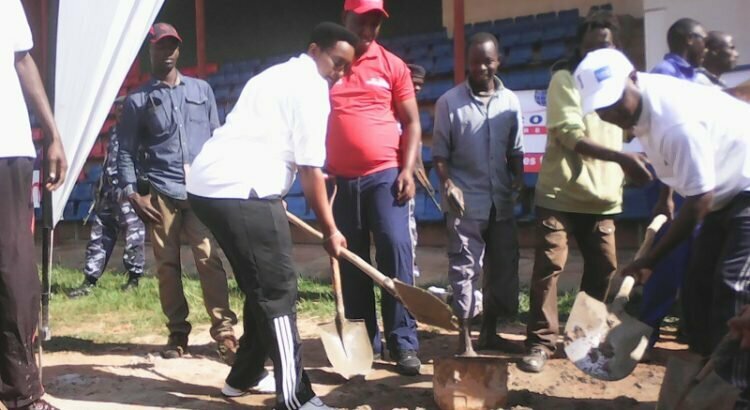 The works coincided with the reception of a donation from the telecommunications company Econet-Leo, which awarded 100 bags of cement as a contribution to the construction of the stadium. At the end of those community works, the 2nd Deputy Speaker of the National Assembly addressed people to whom she advised to love their homeland and develop their constituency. The 2nd Deputy Speaker of the National Assembly thanked the telecommunications company Econet-Leo for the contribution of 100 bags of cement for the construction of the new modern stadium whose work is at the stage of the implementation of a synthetic carpet. She wished them to always contribute to the development works. She also called on the same company to support the rehabilitation of certain roads leading to the communes, which would constitute an asset and an added value in the affairs of this company and in the development of the local people.She returned to the celebration of the World Day dedicated to the protection of the environment and insisted on the protection of the Mpungwe mountain range overlooking the provincial headquarters. The mountain has been characterized by bush fires that have devastated biodiversity in the recent past. She asked the people to stand up and work in synergy to prevent those bush fires because, she said, when man destroys the environment, the effects of this destruction eventually become unbearable. The head of the Econet-Leo company delegation, who was on the scene, said that the company will, as of next school year, provide school support for 10 students from Ruyigi province in order to contribute to the development. As for the world day dedicated to the protection of the environment, it was celebrated on the Gasenyi hill of the Kayongozi area in Bweru commune.